Johannes Siapkas, Lena Sjögren​, Displaying the Ideals of Antiquity: The Petrified Gaze. Routledge Monographs in Classical Studies, 15. London; New York: Routledge, 2014. Pp. xii, 242. ISBN 9780415529167. $125.00. Siapkas and Sjögren have written a timely volume given the reinstallation in the past two decades of many museum collections of Greek and Roman sculptures. Responding to the burgeoning interest in museum practices and their effect on perceptions of objects there displayed , the authors set out to trace the history of sculpture studies since the 18th century and to analyze how this scholarship is reflected in present-day museum displays of Greek and Roman sculptures. This volume complements recent studies focusing on the role of antiquities in museums in the 18th through mid-20th centuries;1 Siapkas and Sjögren bring this discussion into the present. 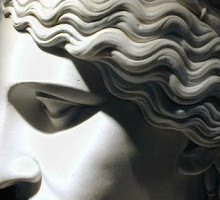 After a brief introduction (Part I) outlining the authors' goals, Part II ("Discursive Settings"; Chapters 1-4) surveys the history of Greek and Roman sculpture studies. This historiography sets up Part III ("Museological Frictions"; Chapters 5-8) in which the authors consider how current museum displays reflect various strands of scholarship, and it is on this part that my review will concentrate. A conclusion (Part IV) restates the main points of each chapter and ties this study to the larger field of museum studies. Part II begins with a brief survey of the disciplines of classical archaeology (Chapter 1) and of art history (Chapter 2) that traces the fields' parallel development from the early appreciation of masterpieces for primarily aesthetic reasons, through 19th-century positivism and attempts at a more scientific classification of archaeological material, to 20th- and 21st-century structuralist and post-structuralist/post-modernist approaches. In Chapter 3, the authors survey the history of studies of ancient sculpture, concentrating on the role of Winckelmann, the development of Kopienkritik and Meisterforschung, and recent critiques of these traditional methods. Both this and the following chapter focus more on studies of Greek than of Roman sculpture. Chapter 4 considers current work in the field by assessing studies of the Parthenon sculptures and a selection of dissertation-based books. This chapter is of limited value as a state-of-the-field assessment, however, as none of the books considered was published after 2005, and the literature under review largely excludes journal articles and conference proceedings. Nevertheless, the authors note the variety of approaches current in the study of Greek and Roman sculpture, including the recent emphasis on such topics as viewers, identity, power relations and ideology, alongside the continuity of traditional methods based on formal examination and description of individual works. Chapter 5 (Part III) starts with an overview of the history of museums from the late 18th century, beginning with the opening of the Louvre. The authors discuss the role of private collecting in museum development and trace the increasingly scientific approach to the classification and display of objects in the 19th and early 20th centuries, followed by a shift after World War I to minimalist installations that continued to follow chronological narratives but now eschewed plaster casts and historic restorations as lacking authenticity. Here and in the three subsequent chapters the authors rightly give attention to the importance of such elements as gallery density, wall colors, and lighting both in shaping the overall impression of a gallery and in focusing on individual objects. They also usefully note that the pace of change in museums, as in any large institution, can be slow and that therefore some galleries still reflect older approaches to the collections. Chapters 6 through 8 present Siapkas and Sjögren's observations on present-day installations of Greek and Roman sculptures, based on visits to more than one hundred museums in Europe and North America, of which some forty are mentioned in the text. The authors are to be commended for having considered a wide variety of institutions, including both national and site museums in Italy and Greece, large encyclopedic museums in Europe and the United States, and several regional museums in Germany.2 Perhaps the most important contribution of this book is their observation that displays of Greek and Roman sculptures share common features in museums of all sizes across national boundaries. Their conclusions might have been more nuanced, however, had they given greater consideration to the impact on gallery installations of different forms of museum governance and varying institutional missions. There is no mention of the British and American university museums with large antiquities collections—an unfortunate omission since several of these (particularly the Ashmolean Museum, the University of Pennsylvania Museum and the University of Michigan's Kelsey Museum of Archaeology) have new installations that emphasize objects' ancient contexts, the presentation of which is the focus of Chapter 8. With few exceptions, the authors seem not to have consulted staff from the museums they visited, a choice that preserves the independence of their observations but gives little insight into the complex process of planning and installing museum galleries. Chapter 6 is devoted to display techniques that emphasize individual sculptures as masterpieces, focusing attention on their aesthetic qualities through, for example, isolated placement in the galleries. The authors link this practice to traditional methods in both art history and classical archaeology and note that both disciplines have recently critiqued this approach. Siapkas and Sjögren also discuss the role of popular culture in creating and reinforcing the masterpiece status of works such as the Nike of Samothrace and the Venus de Milo in a long excursus on modern reproductions of these statues. In Chapter 7 ("Art Historical Narratives") and Chapter 8 ("Archaeological Displays of Sculpture") the authors assess the impact of distinctly art historical or archaeological themes on museum installations. But the definitions of the two disciplines employed here—"art historical narratives emphasize the inherent artistic qualities of the ancient sculptures" (146) and "the more archaeologically orientated an exhibition is, the more it strives to display the original contexts and functions of the sculptures" (172)—ignore both the role of style-based classification schemes in classical archaeology and the importance of contexts in current Greek and Roman art history (and contradict the more nuanced histories of the two fields already presented in Part II). The authors might have better described certain museum installations as reflecting traditional, connoisseurship-based strands of classical archaeology and art history, and such an observation could have led to a profitable exploration of reasons for the persistence of these approaches in museum displays. Chapter 7 concentrates on several "art historical" narratives that the authors identify in museums: a focus on chronological and stylistic development, an emphasis on Classical Greek sculpture at the expense of other periods, and attention to famous sculptors. Siapkas and Sjögren also point out the problems inherent in the still fairly common practice of displaying Roman sculptures to stand in for their presumed Greek prototypes. Both here and in Chapter 8 the authors present a comparative critique of the installation of the Parthenon marbles in the new Acropolis Museum and the British Museum. They also take issue, again in both Chapters 7 and 8, with a number of site museums in Italy and Greece for displaying sculptures prominently without emphasizing their connection to the archaeological site. In Chapter 8 the authors address the presentation of the architectural, socio-historical and economic contexts of the works. Siapkas and Sjögren favor extensive architectural reconstructions to convey sculptures' ancient settings—arguing, for example, that the casts of the sculptures from the Villa of the Papyri are better contextualized at the Getty Villa than the original statues are in the Museo Archeologico in Naples—but without acknowledging the problems involved in attempting such reconstructions. The authors find more emphasis on social and historical contexts in displays of Roman than of Greek monuments. At the end of the chapter they note efforts in some museums to present sculpture production methods, including polychromy. Although the authors describe themselves as having visited museums "not as trained archaeologists . . . but rather as general museum visitors embracing different messages mediated through the exhibitions" (xi), the non-specialist visitor is largely invisible in this volume. Siapkas and Sjögren relate museum displays to academic debates without asking whether the issues at hand are of interest to the vast majority of museum visitors. Taking the visitor experience into consideration might have substantially reshaped their discussion of, for example, the usefulness (or not) of chronological installations, how sculptures' contexts are presented, or the connectedness of site museums to their archaeological sites. This kind of approach could lead to further inquiry along the lines of, for example, (how) can museums effectively convey the current state of research to the public through permanent collection displays? What do visitors take away from Greek and Roman galleries, and how does the installation itself affect their learning? Such topics have been extensively addressed by scholars working in museum studies,3 but rarely with specific attention to Greek and Roman collections. In the conclusion (Part IV), Siapkas and Sjögren position their work in relation to museum studies, but I found myself wishing they had grappled more deeply with this field and its critique of museums throughout the book. I also missed any engagement with James Cuno's provocative writings on the place of ancient objects in art museums.4 The text as a whole would have benefited from more thorough editing, and the poor quality of the photographs in the print edition is particularly disappointing for a volume with "display" in its title (image quality is noticeably better in the e-book). These objections notwithstanding, Siapkas and Sjögren deserve credit for tackling such a variety of issues in relation to the presentation of Greek and Roman sculptures. Their thought-provoking work should inspire further study in this field, and will be of interest to anyone contemplating the role of ancient art and artifacts in museums. 1. E.g. V. Newhouse, Art and the Power of Placement (New York, 2005), 42-107; C. Whitehead, Museums and the Construction of Disciplines: Art and Archaeology in Nineteenth-Century Britain (London, 2009); C. Bilsel, Antiquity on Display: Regimes of the Authentic in Berlin's Pergamon Museum (Oxford, 2012). 2. The authors' visits preceded the opening of the new Hellenistic and Roman galleries at the Metropolitan Museum of Art and the recent reinstallations of the Museo Archeologico Nazionale in Naples, of the Altes Museum and of Palazzo Massimo, and these new installations are not discussed in the text. 3. E.g. J. H. Falk and L. D. Dierking, The Museum Experience Revisited (Walnut Creek, CA, 2013); E. Hooper-Greenhill, Museums and their Visitors (London and New York, 1994). 4. E.g. J. Cuno, Who Owns Antiquity? Museums and the Battle over Our Ancient Heritage (Princeton and Oxford, 2008); idem, Museums Matter: In Praise of the Encyclopedic Museum (Chicago and London, 2011).